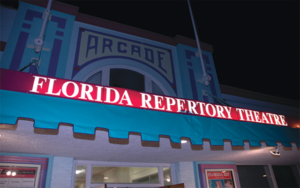 The Florida Rep makes its home in the 100 year-old Arcade Theatre located in the Historic Downtown Fort Myers River District. Their 2016-17 season is still underway with a great lineup that includes the riotous musical comedy The 25th Annual Putnam County Spelling Bee in the Historic Arcade Theatre through Apr 12th, and the heartfelt often funny drama Doublewide playing in the intimate ArtStage Studio Theatre from April 11 through May 14. Under the skillful direction of their Producing Artistic Director, Robert Cacioppo, The Rep has earned many high praises from the prestigious Wall Street Journal. Southwest Florida’s most entertaining destination is located in sunny Fort Myers, featuring an award-winning buffet and high caliber Broadway productions. This is the place for any visitor looking to enjoy quality, family entertainment at a great value. Performances are Tuesday through Sunday evenings, with selected matinees. 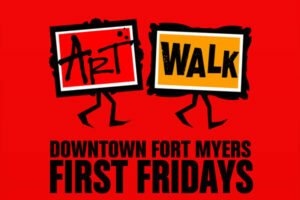 Historic River District in downtown Fort Myers comes alive artistically on the 1st Friday of each month, when local art galleries, restaurants and boutiques join together for Art Walk from 6pm to 10pm with art shows, live artist demonstrations, shopping and dining. The Museum hosts several exhibitions annually to complement installations of works from its permanent collections. Their internationally recognized holdings of American modern and contemporary art include nearly 3,000 objects. Located at 5833 Pelican Bay Blvd, Naples. Their mission statement is to educate about shells and mollusks, the shell-makers, through exhibits, educational programs, library services and publications; to further awareness of nature and natural environment; to promote collection- based research on shells and mollusks with emphasis on Southwest Florida and the Gulf of Mexico. BIG ARTS has been providing cultural enrichment and fulfillment since 1979 with a wide spectrum of performing and visual arts events, offering something for everyone! Located at 900 Dunlop Road, Sanibel. Named after world acclaimed artist, Robert Rauschenberg, the gallery at Edison College displays his works as well as exhibits from other nationally and internationally renowned artists. Located at 8099 College Pkwy SW, Fort Myers. For information call 239-489-9313. Home of the Charlotte Symphony and the Charlotte Chorale, each season offers music, dance, drama and laughter. Located at 701 Carmalita Street, Punta Gorda. For Information call (941) 205-5996. Featuring his unique camera art, the gallery is a delightful place to stop and visit. Located on the edge of the Everglades National Park at 52,388 Tamiami Trail, Ochopee. Journey back over more than a million years of Southwest Florida history at the Collier County Museums in Naples, Everglades City, Naples Depot, Immokalee and Marco Island. With a rich sampling of the people, places and events that make this area’s history and heritage well worth exploring. 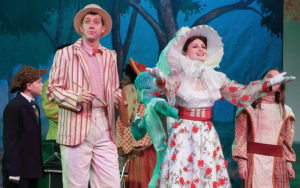 A variety of thought-provoking, stimulating and entertaining productions, ranging from classics to Broadway hits and innovative new works are presented at the Norris Center in Naples. The theater is dedicated to the promotion of the performing arts, through live performance, education, community outreach, experimentation and the development of ensemble work. Their program includes dramas and comedies. Located at 1634 Woodford, Fort Myers River District. Exhibits trace the settlement of this subtropical island paradise from its early pioneer roots as a fishing village, pineapple plantation and clam cannery, through its explosive growth and development in the 1960s by the Miami-based Deltona Corporation. Located at 180 South Heathwood Drive. Open Tues-Sat 9:00am to 4:00pm. The museum is a showcase for the rich and colorful history of the region with displays, artifacts and period photographs telling the fascinating story of 2,000 years of human habitation, as well as the commercial and residential development in Southwest Florida. Located at 105 Broadway Ave W., Everglades City. Set in Naples’ restored railway passenger station, the museum takes you back to the railroading boom days and explains how trade and travel transformed Naples from a napping village of 300 souls into today’s glittering Gulf coast resort. On the National Register of Historic Places, the Museum is also home to a delightful Lionel train working display, complete with lots of hands-on fun. The Naples Philharmonic has long been acclaimed as being one of the cornerstones of Southwest Floridas arts community, and it has become increasingly recognized as one of the countrys best young orchestras, performing September through June each year offering a wide variety of classical, pop and chamber music performances. Full-scale musicals, comedies, contemporary hits and cutting-edge works are presented with Broadway-caliber production values on two stages: Blackburn Hall and the Tobye Studio. Located in the Sugden Theatre at 701 Fifth Avenue South, Naples. Dedicated to the pioneer families of Sanibel and Captiva, the village includes several historic buildings all furnished with items from the early 1900s, a 1924 Sears kit home that has been renovated to serve as a welcome exhibit center, and the Caretakers Cottage which serves as an exhibit honoring Sanibel’s black history. Set in the historic Federal Building in the trendy River District in downtown Fort Myers, the Center is a visual and performing arts space for regional and internationally renowned artists and events. Located at 2301 First Street in Fort Myers. Every third Thursday of the month from 5pm to 8pm the Historic Downtown Punta Gorda Merchants play host to musicians, artists and specialty vendors, all located within a 6 square block area. The Center organizes professionally curated, juried and invitational exhibitions in its many galleries, with changing exhibitions throughout the year. Open to the public. Located at 585 Park St.Naples.